Autism and Eating Disorders -Is There a Hidden Connection? person could enjoy eating fungus, or hairy vegetables. such as fruits or vegetables, or foods with specific textures. like French fries and most like plain pasta. What Are the Causes of Picky Eating? hated foods, or can’t remember ever having tasted them. can cover food and may be a cause of picky eating. But what causes picky eating or neophobia in the first place? 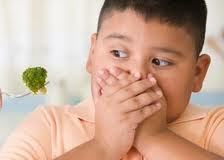 What Environmental Factors Cause Picky Eating? food and a lot to do with exerting control and independence. enjoy or taste certain foods. be overweight, underweight or somewhere in between. Disorder and recognized as a medical condition. to be pickier than unaffected children. before they grow out of it. Does Everyone Grow Out Of Picky Eating? child or a teenager, your social life can be severely affected. sandwiches on white bread and jacket potatoes with cheese. your presentation in order to increase your children’s diet. contribute to whether or not a certain food will be rejected. dish. For adults, experiment with different ways of tasting. eaters avoid and brightly colored fruit can also be a problem. healthy choices until they are accepted. experience in the past such as choking. 10 Foods That Fight Anemia / How Much Is Too Much Salt?